This bottling is certainly not something you see every day, a 21 year old Canadian Single Malt. 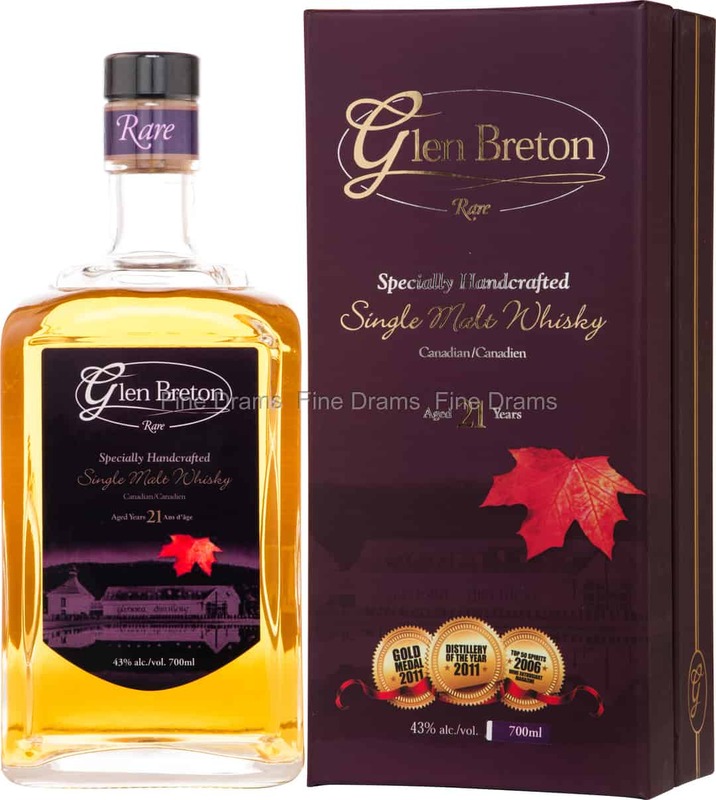 Glen Breton claim to be the first producers of a single malt on the whole North American continent. This bottling will certainly pique the interest of those drinkers who enjoy a world whisky. The spirit is produced in Nova Scotia, which of course translates as New Scotland – so the single malt maybe shouldn’t surprise us too much! The spirit itself shows an excellent maturity, poise and depth, opening with flavours of toasted cinnamon, cumin and anise, before being joined by a little nutmeg, charred oak, vanilla custard, pencil shavings, caramel, some maple sugar, and green apples and pears. A juicy, spicy bottling bottled at 43% ABV, this is well balanced whisky with a medium mouthfeel. An example of how good Canadian whisky can be.